This stunning sport mortoryacht offers three double cabins all with en-suite (VIP, master and twin). Hydraulic teak bathing platform (extra wide), great cockpit with BBQ with glass corridor doors, hydraulic hard top, double solariums in bow and cockpit... allows great spacefull comfort on board. Water toys included. 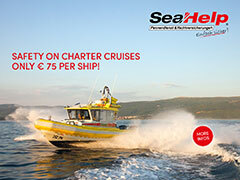 Possible day cruisings or complete weeks (embark Saturday 10.00 and disembark Friday 20.00h).TAX included in the price. 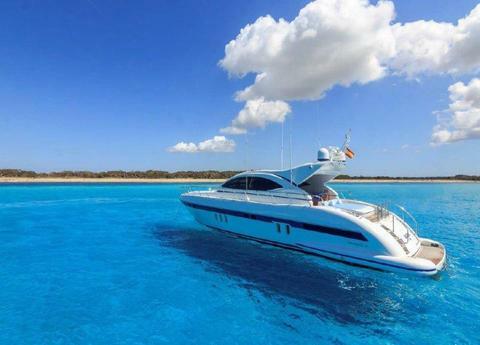 Mangusta 72 in IBIZA has everything one would expect in a motor yacht to enjoy the sunbathing.Included captain and professional crew, navigation for 12 person a day charter and 6 person night sailing.